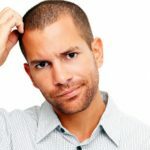 Caught Her Cheating On You: What Next? I would never forget the look on Sam’s face when I asked him about his gorgeous girlfriend I haven’t seen for a while. His simple answer was, ‘I caught her cheating on me.’ Naturally, that answer was pregnant with many questions. Actually, Vesta (that is the gorgeous girl’s name) wasn’t caught cheating. She did the amazing thing of confessing about it before Sam had any inkling of what happened. I guess she did that to preempt my friend hearing about it from a different source. It was bound to come out because she did it with her best friend’s boyfriend. And she confessed hoping my friend would forgive her. He did not. He sent her packing. The intervention of well-meaning elderly neighbours did not sway his mind. Sometimes, when I look at my girlfriend, I wonder what I would do if I caught her cheating on me red handed. Thing is, I love her passionately and I can put our relationship into that perspective. However, stuff like that happens all the time. Now take your girlfriend for instance, what would you do if you caught her cheating on you? If you met me for advice, this is what I am likely to tell you dispassionately. 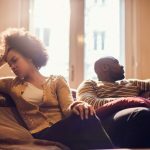 If for some reasons (maybe you decided to heed the advice of some meddling friends and family members) you decided to forgive her, these are some of the issues you’d have to contend with. 1.As far as the relationship is concerned, trust has flown out of the window. She would forever be casted in the image of the cheating partner. Every move she makes would be scrutinized in detail by you because at the back of your mind is the feeling she might do it again. 2.The fact you caught her cheating on you is enough to completely destroy whatever image you had of her. 3.The girl you once knew is changed forever by the mistake. She’d conditioned herself to prove to you she is better than a cheat. That need to prove a point can consume her personality. A once witty girl would now turn into somebody trying too hard to please. 4.This is really going to change the dynamics of the relationship permanently. If once you both felt like equal partners, that structure is no more. On the other hand, if she had the most power in the relationship and could get you to do anything, that too would now change in your favor. You now have complete control over how the relationship evolves going forward. She is now practically you slave, emotionally and mentally. Which, frankly, is not good for her? Or for you for that matter. At this point it should be made clear that not forgiving her if you caught her cheating on you doesn’t always equate to ending the relationship. Some people never forgive and still go on having a relationship of some sort. I think every normal man would seriously think of hurting her back. Short of physical violence, which I don’t advice, the next best thing is to hurt her in equal measure. Planning revenge can take a lot out of your valuable time. The easiest way is to have an affair. Which then begs the question of who to have the affair with? Hurting her seriously, if that is your ultimate plan, would involve doing it with somebody close to her. In that case, you’d have to deal with the repercussions of having messed a third person’s life because your partner cheated on you. This could be a double-edged sword. At the least, it would give you the satisfaction of knowing you have an alternative to her without actually breaking up. Besides, the open relationship option can give you a better perspective of your relationship with your partner. You might end up deciding you want to forgive and to start afresh. Who knows? At the same time, open relationship can lead you to finally call it quits because you now see what you’ve been missing before she cheated on you. Some might say this is a knee-jerk reaction to a complex issue. Yes, that could be true, but weighing the issues, I’d say calling it quits trumps everything you could do if you caught her cheating on you. Breaking up can be difficult though. 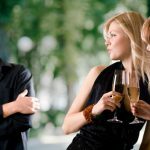 So weighing up your options about how to do it would go a long way in making the transition from couple to single guy easier. Having said all that, cheating on a partner involves a lot of complex emotions and reasons. Sometimes, understanding the reasons behind that behaviour is a good starting point in dealing with the aftermath. The emotional trauma though can blind any man to seek understanding. After all, anything that involves the heart is rarely ever logical. Don’t forget to share this on Facebook with your friends if you liked what you read. And please do follow us on Twitter for better interaction with us. Cheers.